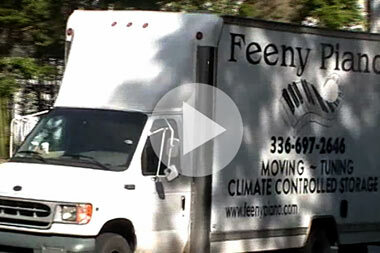 For over 20 years Feeny Piano has provided a full range of piano services to the Piedmont Triad. Regardless of your piano needs we can help! 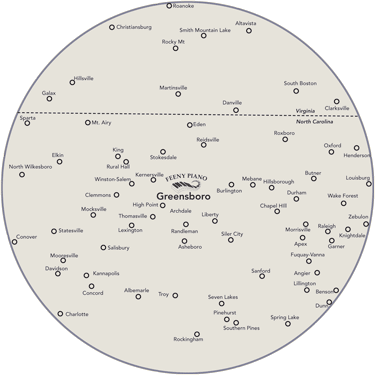 High Point, Winston-Salem, Kerenersville, Burlington, Mebane, Hillsborough, Durham, Raleigh, Apex, Siler City, Ashbeloro, Statesville, Clemmons, Elkin, Charlotte, Mooresville, Davidson, North Wilkesboro, Southern Pines, Pinehurst, Roxboro, Danville, Martinsville, Roanoke, Smith Mountain Lake, Hillsville Galax, Altavista, Clemmons, Conver, Kannapolis, Wake Forest, Eden and Reidsville.